A love triangle, but far from a classical one! No sooner has Rosmene been saved from pirates than she is forced to choose between two suitors; Tirinto, her fiancé whom she loves; and Imeneo who claims her as his promised reward for rescuing her and the Athenian maidens. Clomiri, another of the rescued women, is desolate because she knows her secret love for Imeneo is in vain. The two suitors are torn between jealousy and hot desire. Tirinto demands that Rosmene remains faithful to her pledge of love, and Imeneo demands that Rosmene shows him justified gratitude for his heroic deed. In an attempt to buy some time Rosmene fakes an attack of insanity calling on the judge of the underworld for advice. Forced to be either unfaithful or ungrateful, which suitor will she choose...? 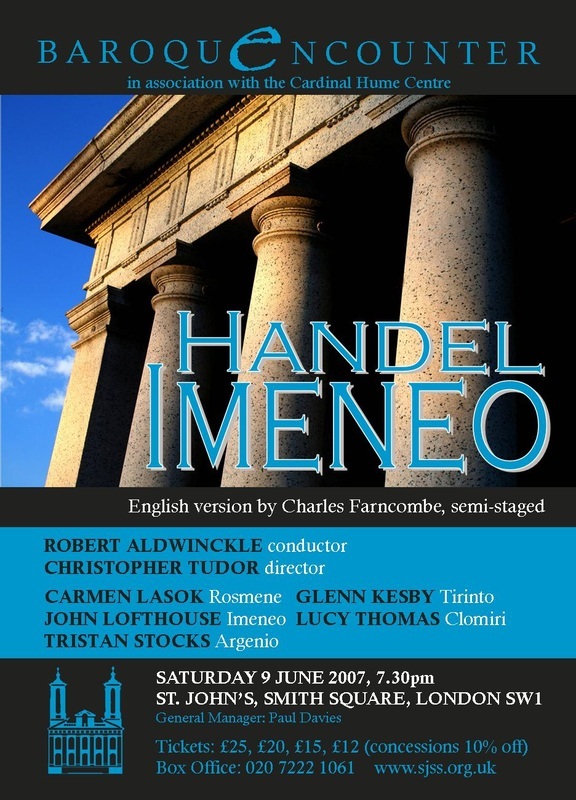 Imeneo assembles a cast of 5 solo singers who also combine for the opera's choruses. They are supported by a period instrument chamber orchestra and a dancer.